We’ve launched the first Santa Cruz County Women’s Business Directory and want YOU to be a part of it. If you own or run a business in SC County, go to our directory page to submit a listing and be included…it’s FREE! 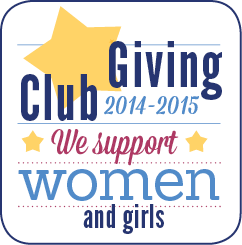 Support our non-profit organization by making a tax-deductible contribution! Soroptimist International of Capitola By-the-Sea is a registered 501(c)(3) non-profit organization. Contributions are tax-deductible to the extent permitted by law. Tax ID 94-9771973. 🧡🧡🧡 The 25th of every month has been designated “Orange Day” by the United Nations Secretary-General’s Campaign UNiTE to End Violence Against Women, to raise awareness and take action to end violence against women and girls. As a bright and optimistic colour, orange represents a future free from violence against women and girls. Orange Day calls upon civil society, governments, and UN partners to mobilize people and highlight issues relevant to preventing and ending violence against women and girls, not only once a year on the International Day for the Elimination of Violence against Women (25 November), but every month. In 2015, all 193 Member States of the United Nations adopted the 2030 Agenda for Sustainable Development. Through its 17 goals, the 2030 Agenda calls for global action over the next 15 years to address the three dimensions of sustainable development: economic, social, and environmental. All the Sustainable Development Goals (SDG’s) are fully integrated with one another and therefore we cannot think of them in isolation. SDG 5 recognizes gender equality and the empowerment of women as a key priority pledging that “no one will be left behind.” Building on this vision, throughout 2018, the UNiTE Campaign will mark all Orange Days (the 25th of every month) under the overarching theme “Leave No One Behind: End Violence against Women and Girls” to underscore its commitment towards reaching the most underserved. If you missed our article in the Capitola Soquel Times, check it out below! Did you see the article about us in the Sentinel this morning? We are so proud of these women and all they're doing to improve their lives! !